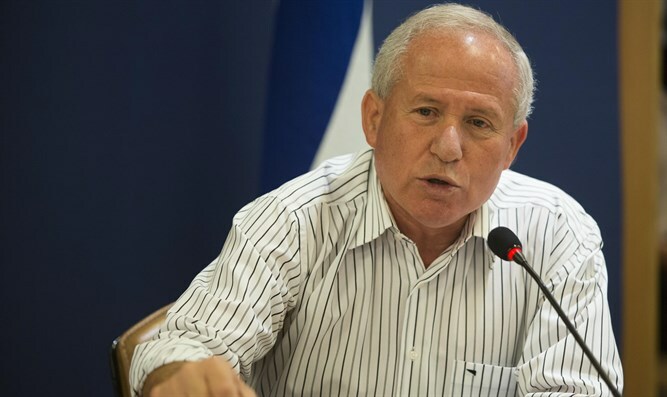 Foreign Affairs and Defense Committee chair Avi Dichter calls on President Trump not to sign embassy transfer postponement order. In a few hours, President Trump will wake up from his night sleep to the day he can decide whether Jerusalem will be recognized by him as the capital of Israel, or he will sign the decree postponing the decision for another 6 months – the habit of every American president since the decision to move the embassy to Jerusalem was passed by Congress in 1995. That year, the US realized what dangers the State of Israel had taken upon itself when it allowed the Palestinian Authority to form in Gaza and the West Bank. The decision to move the embassy was a fitting reward for the courage demonstrated by the Israeli leadership, which tried to promote peace with the Palestinians. Shortly afterwards, however, the Palestinians, especially their security men, chose to launch a wave of terror attacks against IDF soldiers and other Israelis, on the background of the opening of the Western Wall tunnel. Although it was clear to them that the Western Wall tunnel was outside the wall of the Temple Mount and certainly disconnected and distant from the Al-Aqsa Mosque, they exploited the incident to incite and at the same time launched a wave of terror in which Israelis, soldiers and civilians were killed, most of them by Palestinian policemen! In order not to create an escalation, US President Clinton ordered in a decree to postpone the movement of the embassy for six months and since then the "custom" of postponement has been established. Just as Israel has been required for 70 years to pay the price of Arab resistance to the partition plan and the price of our victory in the War of Independence imposed on us by seven Arab states, we are now paying the price of our agreement to take enormous risks for the 1993 Oslo Accords. President Trump, "Don't touch that pen". Don't sign and postpone the movement for another six months. How do you say - "Enough is enough!" Prove to yourself, to the American nation, to the Jewish people, to the State of Israel and especially to the enlightened world, that you are not a president who flows with the stream. Downstream, Mr. President, you'll find both live fish and dead fish. Against the current, only live fish swim. Be a living and kicking fish, especially when a move which is entirely just and fair is at the tip of your fingers. You can move the US Embassy to Jerusalem now.